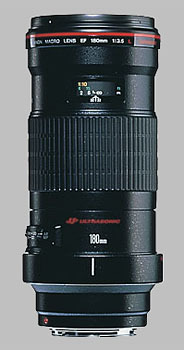 (From Canon lens literature) Another telephoto macro lens with a maximum magnification of 1x. Life-size close-ups can be taken from a farther distance without disturbing the subject (insects, etc.). The internal floating system minimizes fluctuations in aberrations caused by changes in the focusing distance. Optical performance is outstanding from 1x to infinity. The CA must be corrected when use with the 7D but it's not difficult with DPP. Just GREAT lens. Great! Color rendition is awsome. Bokeh is smooth and silky. It's built like a tank. On Canon 5D the focus tends to hunt IF the limiter is off. On Canon 1D Mk III this is not such a problem. Would be great if this one had an IS built-in. This is the only macro I have ever used so cant compare to others. Iam very pleased with the lens. I shoot small creatures like bugs and frogs. The working distance is great as is the sharpness. I also use it as a long portrait tele on my 5D. In this role the focusing is alittle slow but still seems faster than the 85L. The 3.5 aperature is also a limiting factor in this role. For field work I would use a TS lens or maybe the 100 which is also great. But for studio or out the tailgate this lens is just awesome. Very good macro, a little less DOF would be appreciated but that can be done with TUBES, though then the working range is very limited. Also works with the 1.4x and 2x which gives you good results and interesting effects. This or the 100 with a ring flash does awesome butterfly stuff. Both are great for flowers but I prefer the 180 for single subject and wide anlge with 12mm tube for multi subject shots. If they made this a 2.8 and updated the focus speed it would be legendary (in my opinion) though the 100 is the same or better and lighter and cheaper.